If you’ve ever worked with Joe Hosmer, CTS., founder and former Chairman, CEO and President of MOUNTAIN, LTD., current President of Safari Club International Foundation (SCIF), adventurist, entrepreneur and corporate leader with a list of accolades, awards and credentials that reach around the world, then you’ll be pleased, and not too surprised, to learn he was recently inducted into the National Association of Personnel Services (NAPS) Hall of Fame. On September 17th in Dawsonville, Georgia, at the annual NAPS Convention, Joe Hosmer was recognized for making a significant, positive and lasting impact on the staffing industry – fitting for someone who is known for making such an impact everywhere he goes. From the start of MOUNTAIN, when a twist of fate in a far off land put him in the right place at the right time, where quick thinking and resourcefulness allowed him to seize an opportunity and organize a team of contract engineers to build a telephone network across remote land in a third world country, to building that small company into a leading telecom staffing solutions provider across this country and beyond, Joe’s aptitude for finding and retaining quality personnel and building a solid company to support its client’s staffing needs is unequaled. Though Joe and his wife, Sandy, sold MOUNTAIN in 2007, as current SCIF President, Joe oversees the organization’s recruiting efforts and about one hundred employees. Joe is also an independent consultant who is sought after and hired by various businesses and professional organizations to assist in their recruiting process. Everyone at MOUNTAIN knows that the key principals of dedication to excellence, quality and professionalism that serve as the cornerstones of our business philosophy today, started with Joe Hosmer. Joe nurtured our company, and he encouraged and expected his team to take leadership positions in organizations, to promote industry education and to uphold the highest level of ethics. These values are still very much a part of MOUNTAIN’s culture today. No one is more deserving of a place in the N.A.P.S. Hall of Fame than Joe Hosmer! Last week, Safari Club International Foundation held its 12th annual African Wildlife Consultative Forum (AWCF) in Livingstone, Zambia. 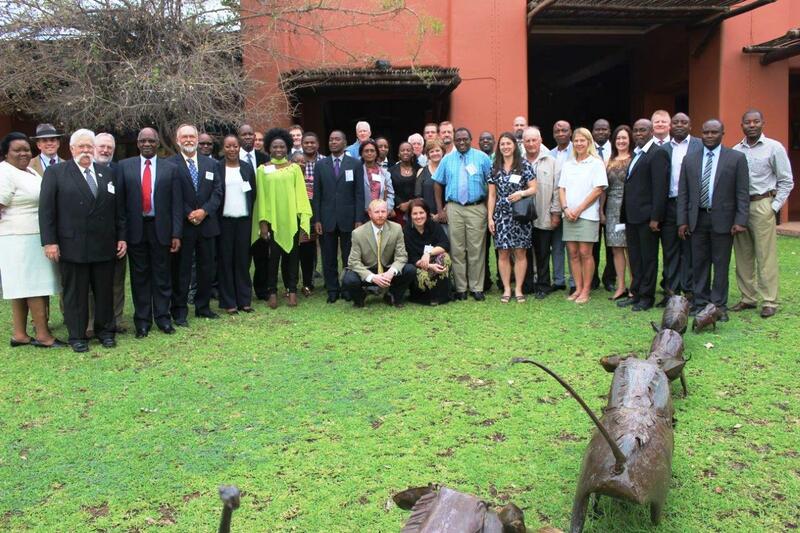 Conservation leaders attending included wildlife management authorities from the nine African counties of Botswana, Ethiopia, Mozambique, Namibia, South Africa, Swaziland, Tanzania, Zambia and Zimbabwe, as well as representatives from the safari industry, NGO and wildlife science sectors. The government representatives attending the AWCF delivered this week a letter to the Co-Chairs of the Presidential Task Force on Wildlife Trafficking, U.S. Secretary of the Interior Sally Jewell, U.S. Secretary of State John Kerry and Attorney General Eric Holder. The letter presents their recommendations for the implementation of President Barack Obama’s Executive Order Combatting Wildlife Trafficking. The letter recommends that the Task Force appoint Safari Club International Foundation to its Advisory Council to act as a liaison for the African governments who are the principle agents for conserving wildlife on their continent. “It is distressing that Africa’s governments were not included or even consulted on the U.S. government’s new Task Force to stop poaching. This policy decision of the U.S. government directly affects Africa’s communities, wildlife, and economies. To ignore these countries is an obvious misstep that needs to be rectified,” SCI Foundation President Joe Hosmer said. During the forum, presentations on the global importance of hunting and tourism were made to the AWCF attendees. This spurred great interest on the part of both the African governments and the African professional hunters associations to embark on a socio-economic review of consumptive and non-consumptive tourism in Africa. SCI Foundation will assist in funding and managing this economic review. The Operators and Professional Hunters Associations of Southern Africa have also sent a letter to the Task Force explaining their integral role in Africa’s wildlife management, and requesting official participation in implementation of the Executive Order. From anti-poaching patrols on land areas that are 22% larger than all the national parks of Africa, to employment opportunities for local individuals, to infrastructure projects that improve the livelihoods of the community where they work and live, the role of the outfitters and professional hunters of the safari business are inextricably linked to the sustainability of Africa’s wildlife. “The AWCF is successful because it gives African governments, conservation professionals, and professional guides a platform to generate consensus on critical policy issues that are otherwise often made without their input. SCI Foundation is prepared to be the liaison for Africa’s nations, communities, and its future by working directly with the U.S. government to end poaching,” Hosmer concluded. Today the 12th annual African Wildlife Consultative Forum (AWCF) came to an end, and the attendees provided insight into Africa’s pressing wildlife policy and management issues. U.S. Fish and Wildlife Service’s Senior Wildlife Inspector Jay Pilgrim presented the details of President Obama’s Executive Order on combatting wildlife trafficking. The AWCF delegates expressed concern that Africa’s ideas and cooperation was not adequately included in the United States efforts to curb poaching and illegal wildlife trade, and will share these concerns in a letter to U.S. Secretary of the Interior Sally Jewell. The letter will include African government recommendations for consideration by the Executive Order’s Task Force and Advisory Council. It also suggests the Task Force reconsider the appointment of SCI Foundation to the Advisory Council, stating a resolution that SCI Foundation is to serves as formal liaison for African issues in the United States. Wednesday’s discussions on the African lion spurred thought-provoking deliberations as the US Fish and Wildlife Service continues to decide if it will list the African lion as “endangered” under the Endangered Species Act. Two lion experts, Dr. Dennis Ikanda of the Tanzania Wildlife Research Institute and Dr. Paula White of Zambia Lion Project presented to the delegates about their ongoing research and the status of the African lion. They also discussed their recent experiences of communicating lion expertise to Members of US Congress, the US Government and NGOs while in Washington DC in June and September. These efforts were in concert with providing decision makers with all the information necessary on lions, in order to prevent an unwarranted listing decision. In response to these presentations, and following a presentation given by SCI Foundation on the Fighting for Lions campaign, the AWCF governments drafted a letter to Mr. Dan Ashe, Director of the US Fish and Wildlife Service (USFWS). The African governments wanted to express their concern that the United States did not properly consult African governments for information regarding the African lion as part of the United States led species status review. The status review is part of the process of considering the lion for listing as an endangered species under the Endangered Species Act. The letter also voiced disappointment that African governments were not involved or even invited to provide information to the USFWS at the June 2013 lion workshop that was held in Arlington, VA.
Reports from each country will be presented to close out the meeting. Through these presentations the delegates have the opportunity to show how their countries management and policies are benefitting conservation. SCI Foundation is proud to see that our efforts promote capacity building within the governments and continues to show the global importance of the hunting community. The Foundation looks forward to keeping our readers informed as new information develops. Follow JOE HOSMER on TWITTER @JoeHosmer, INSTAGRAM, AND FACEBOOK! 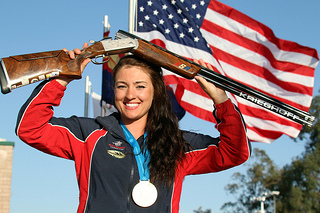 Olympic medalist Corey Cogdell and world-renowned shooting instructor Chris Batha will be among the celebrity guests of the Second Annual SCI Foundation & Boy Scouts of America (BSA) Sporting Clays Fundraiser occurring Feb. 4, 2014. All the events proceeds benefit the youth education programs of both SCI Foundation and BSA. Chris Batha shares Cogdell’s enthusiasm for the event and the programs it supports. The Boy Scouts of America and SCI Foundation promotes education worldwide and has donated generously in support of its respective projects and programs. “Our goal at SCI Foundation is to deliver high quality results for youth education and outreach on hunting and sustainable-use. It would not be possible without the amazing support of Krieghoff, Corey, and Chris who are true ambassadors for all hunters worldwide. Please join us for the Second Annual SCI Foundation and BSA Sporting Clays Fundraiser on Feb. 4, 2014,” concluded SCI Foundation President Joe Hosmer. Krieghoff International has donated a new Krieghoff K-80 Pro Sporter over/under, 12 gauge shotgun with 32-inch barrels for the event. A sweepstakes drawing for the gun will be one of the highlights of the Second Annual SCI Foundation & BSAF Sporting Clays Fundraiser. Every shooter who registers for the competition will receive one ticket to the drawing, with additional tickets available for $100 apiece. A maximum of 300 tickets will be sold, so register soon to secure your spot for February 4th. Safari Club International Foundation (SCI Foundation) is a 501(c)(3) charitable organization that funds and manages worldwide programs dedicated to wildlife conservation, and outdoor education. Since 2000, SCIF has provided over $50 million to these causes around the world. Visit the SCI Foundation’s website at www.safariclubfoundation.org for more information on how you can contribute to international conservation.